Formed at Hounslow on 21.8.14 and became part of 36th Brigade, 12th (Eastern) Division at Colchester. November 1914 to Hythe. February 1915 to Aldershot. Landed in France 31.5.15. On 11.11.1918 located east of Orchies, France. 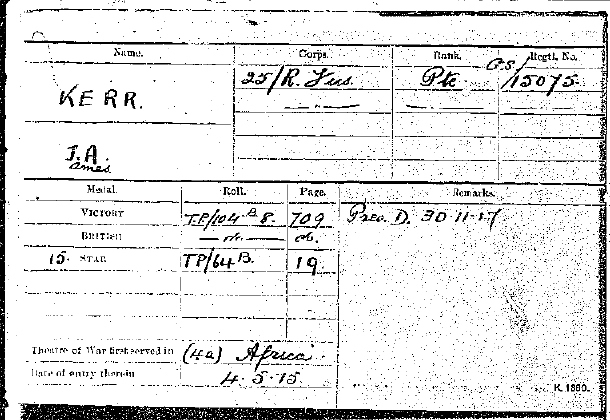 James Anderson KERR presumed dead on 30th November, 1917. Wheelchair access to this site with some difficulty. For further information regarding wheelchair access, please contact our Enquiries Section on telephone number 01628 507200. The Panel Numbers quoted at the end of each entry relate to the panels dedicated to the Regiment served with. In some instances where a casualty is recorded as attached to another Regiment, his name may alternatively appear within their Regimental Panels. Please refer to the on-site Memorial Register Introduction to determine the alternative panel numbers if you do not find the name within the quoted Panels. This was one of the first New Army divisions to be formed, as part of K1. It was assembled around Colchester (with the divisional artillery at Shorncliffe) from late August 1914. Divisional training was completed near Aldershot from February 1915, and the Division moved to France on 29 May - 4 June 1915. The Division served with distinction on the Western Front throughout the war. By 1917, Cambrai had become one of the most important railheads and HQ towns behind the German lines. In front of it lay the immensely powerful Siegfried Stellung - better known to the British as the Hindenburg Line. So strong was the defensive position here that German Divisions decimated during Third Ypres were sent here to recuperate and refit. It included two lines of fortifications, with barbed wire belts tens of yards wide, concrete emplacements and underground works. A third parallel line was also under construction. Haig approved a novel plan for an attack on Cambrai that was put to him on 16th September 1917, while the Third Battle of Ypres (Passchendaele) was at its height and Plumer was about to launch the next assault which was to become known as the Battle of the Menin Road. The plan outlined a tactically sophisticated sweep that would encircle and capture Cambrai. 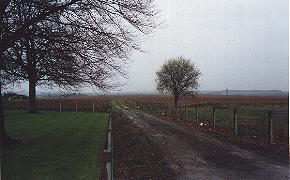 It required breaking through the Hindenburg Line, capturing the dominating heights of Bourlon Wood on the left, and exploitation of the breakthrough by sending three cavalry Divisions across the St Quentin canal and to the rear of the town. The cavalry would encircle the town, joining the other troops north of Bourlon. Key elements of the plan included the use of recently developed tactics, including airborne interdiction bombing to stop German reinforcement by rail; the maintenance of surprise by the use of predicted artillery fire that required no registration; and the use of massed tanks with infantry groups in support. This latter tactic was not wholly welcomed, for the tanks had yet to prove themselves, having hardly excelled in the 1917 fighting at Arras, Bullecourt and Ypres. The assault was planned and carried out by the Third Army, commanded by Julian Byng. Note : Divisions were moved between Corps so often during this battle that the assignments are too complex to show here. The Corps involved were Cavalry, III, IV, V and VII. The attack was launched at 6.20am on the 20th November. The British Divisions in the front line were, from right to left, the12th, 20th, 6th, 51st (Highland), 62nd (West Riding) and 36th (Ulster). In immediate support were the 29th, and ready to exploit the anticipated breakthrough and sweep round Cambrai were the 1st, 2nd and 5th Cavalry Divisions. The Tank Corps deployed its entire strength of 476 machines, of which more than 350 were armed fighting tanks. They were led by the Tank Corps GOC, Hugh Elles, in a Mk IV tank called 'Hilda'. The attack opened with an intensive predicted-fire barrage on the Hindenburg Line and key points to the rear, which caught the Germans by surprise. Initially, this was followed by the curtain of a creeping barrage behind which the tanks and infantry followed. On the right, the 12th Division moved forward through Bonavis and Lateux Wood, and dug in a defensive flank to allow the cavalry to pass unrestricted, as ordered. On the extreme right of the attack, the 7th Royal Sussex got into Banteux, which had been subjected to gas attack from Livens projectors. The 20th Division captured La Vacquerie after a hard fight and then advanced as far as Les Rues Vertes and Masnieres where there was a bridge crossing the St Quentin Canal. Securing the bridge was going to be vital for the 2nd Cavalry Division, planning to move up to the east of Cambrai. However, the weight of the first tank to cross the bridge, 'Flying Fox', broke its back. Infantry could cross slowly by a lock gate a couple of hundred yards away, but the intended cavalry advance was effectively halted. An improvised crossing also allowed the B squadron of the Fort Garry Horse to cross, but they were left unsupported and withdrew. (For no good reason, it was not noticed that further canal crossings at Crevecoeur-sur-Escaut were very lightly defended, until too late in the day). The 6th Division, once it had crossed the Hindenburg Line, moved forward and captured Ribecourt and fought as far as and through Marcoing. The 5th Cavalry Division advanced through them but were repulsed in front of Noyelles. The 51st Division had a very hard fight for Flesquieres, but its failure to capture it and keep up with the pace of the advance on either side left a dangerous salient which exposed the flanks of the neighbouring Divisions. On the left of Flesquieres, the 62nd Division fought hard through the ruins of Havrincourt, up to and through Graincourt and by nightfall were within sight of Anneux in the lee of the commanding height crowned by Bourlon Wood. The division had covered almost five miles from their start point, and were exhausted. (This was later claimed to be a record advance in the Great War for troops in battle). The 36th Division moved up the dry excavations of the Canal du Nord, and lay alongside the Bapaume-Cambrai road by nightfall. By recent Western Front standards, the advance was little short of miraculous, and victory bells were pealed in Britain on the 23rd. In the light of subsequent events, this was indeed ironic. When first presented with the plan for the attack, Douglas Haig recommended strengthening the left flank to take Bourlon Wood very early. He wasted his breath: Byng ignored his advice. By nightfall on the 20th, it was clear that Haig had been right. From the dominating height of the Wood, the Germans held the British advance in front of Anneux and Graincourt. There was good news, however, as the 51st Division crept into Flesquieres, abandoned during the night by the Germans. On the morning of the 21st, the 51st Div. moved forward with the aid of two tanks towards Fontaine, but were held up by fire from the Wood. Harper ordered a halt until the 62nd Division had captured the heights. The latter had a violent and costly battle for Anneux, led by the 186th Brigade, under R.B.Bradford. To the north, the 36th Division, planning to continue their advance beyond Moeuvres, waited for the success signal, signifying that the 62nd had captured Bourlon. It never came, for the 62nd could not penetrate beyond the sunken lane facing the wood. By the evening of the 21st, Haig was satisfied that 'no possibility any longer existed of enveloping Cambrai from the south'. In other words, the rationale for the whole action had now been lost. But the British were now in an exposed position in the lee of Bourlon Wood, the capture of which would still prove to be useful, in cutting German access to key light railway lines feeding their front. Haig and Byng decided to press on, even though it meant deepening the salient that had been created, and throwing in even more troops into this northern sector of the battlefield. 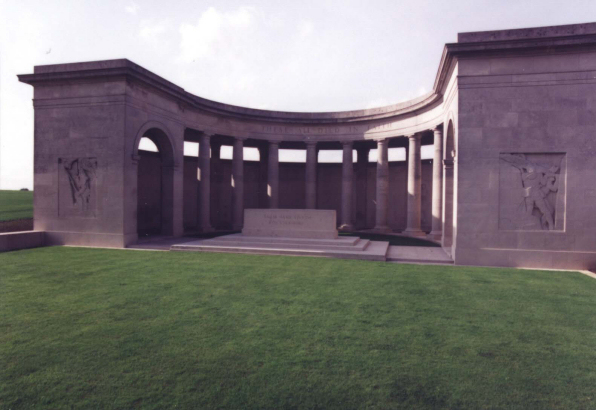 On the 22nd, the GOC 40th Division at Beaumetz-les-Cambrai received orders to relieve the 62nd Division the next day. The 40th was a division of Bantams, men under regulation height. By now the roads were breaking up under the strain of thousands of men, wagons and lorries. It took 40th Divisional HQ 15 hours to travel the 9 miles to Havrincourt. A relief and assault plan was quickly drawn up: 121 Brigade to capture Bourlon, 119 Brigade to go for the Wood, both jumping off from the sunken lane. On their right, the 51st would move forward to Fontaine. On the left, the 36th would go in again at Moeuvres. 92 tanks would support these units. They attacked through ground mist on the morning of the 23rd. Some of the units of the 40th had to cross 1000 yards down the long slope from Anneux, across the sunken lane and up the final rise into the Wood, all the while under shell fire. There was close and vicious fighting in the Wood, but after 3 hours, the Welsh units of 119 Brigade were through and occupying the northern and eastern ridges at the edge of the undergrowth. The 121st Brigade were cut down by heavy machine gun fire, and few got as far as the village. 7 tanks did, but were unsupported and the survivors withdrew. On the flanks, the 36th and 51st Divisions made little progress, against strengthening opposition. Over the next few days, further trops were thrown into the battle, including the Guards who advanced into Fontaine. Once his troops had been driven from the Wood, the enemy switched all of his artillery onto it. Battalions in the Wood were wiped out. Three companies of the14th HLI miraculously penetrated to the far side of Bourlon, but were cut off and gradually annihilated. And it began to snow. Life began to return to trench normality as the troops settled into the newly-won positions. The British now sat some way ahead of the position of 20th November, being in possession of a salient reaching towards Cambrai, with the left flank facing Bourlon, and the right alongside the top of the slope which ran down towards Banteux. The Germans began planning for a counter-strike around the 23rd November, as their strength in the area began to mount and it bacme clear that the British had shot their bolt. The plan was simply to cut of the neck of the salient by attacking on each side, with the strongest blow to come on the southern side. The blow fell at 7.30am on the 30th, and was devastatingly fast and effective. By 9am, the Germans had penetrated almost 3 miles towards Havrincourt Wood. Byng's Third Army faced disaster, with the real prospect of several divisions being cut off in the trap. The first attack fell on the 55th (West Lancs) and 12th Divisions on the south-eastern side of the salient. The Germans climbed the slope to re-take Lateau Wood, pushed up the complex of shallow ravines south of Banteux, moved through Villers Guislain, and past Gouzeaucourt. Amongst the troops defending the artillery positions at Gouzeaucourt were the 11th US Engineer Company. The direction of the assault was across British divisional boundaries, and the command structure rapidly broke down as the troops became mixed up. 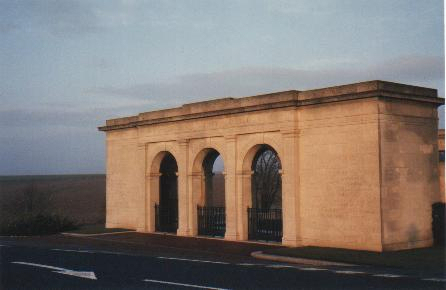 Three German divisions attacked to the north, supported by an intense Phosgene barrage, intending to cut the Bapaume-Cambrai road near Anneux Chapel. They were repulsed by the machine gun barrage of the 47th, 2nd and 56th Divisions, who had relieved the 36th and 40th. No Germans reached the road. Fierce fighting continued in the southeren area, for Gonnelieu, Les Rues Vertes and Masnieres. Eventually, on the 3rd, Haig ordered a retirement 'with the least possible delay from the Bourlon Hill-Marcoing salient to a more retired and shorter line'. Later on, questions were asked in the House. Byng's report blamed badly-trained troops. Several middle-ranking commanders were sacked. But the hard fact remained that this audacious plan had utterly failed, and although some ground had been gained, in places the Germans were in ground formerly occupied by the British. A small salient remained at Flesquieres, which was an exposed position ruthlessly exploited by the German assault in March 1918. Great secrecy was maintained for this operation. The artillery did not fire registration shots - and thus give away their presence - but used predicted fire. The use of massed tanks on favourable ground gave the British a real means of breaking through the formidable enemy defences. Third Army reported losses of dead, wounded and missing of 44,207 between 20 November and 8 December. Of these, some 6,000 were taken prisoner in the enemy counterstroke on 30 November. Enemy casualties are estimated by the British Official History at approximately 45,000.